Kendra has an Associate’s Degree in Occupational Therapy and a BA in Psychology. Her specialty has been neurological disorders and hand therapy. Kendra is a part-time, non-contracted faculty member for the Occupational Therapy Assistant Program at Linn-Benton Community College. 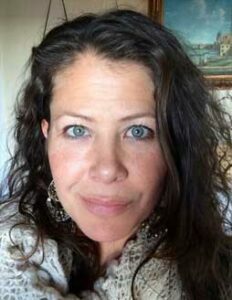 She is the Owner of Merkaba Center for Healing, LLC, a holistic healing practice where she meets every client with specialized and individual sessions. She started the Pacific Northwest Head Injury Support Group in 2012 (Astoria, OR) and serves on the board as Secretary for the Brain Injury Alliance of Oregon (BIAOR). She enjoys presenting at the PNW Head Injury Conference and delivering inspirational talks for events held by the BIAOR. She continues to further her education in the Holistic healing practices through the Illumination Healing™ program and continuing education in Tensegrity Medicine™ and Bowenwork®. Kendra is the mother of two amazing daughters, enjoys giving to the community and has aspirations of writing a book one day. She envisions traveling around the world as an inspirational speaker and educator.